Hello my friends, Happy Monday. Another weekend has flown by really fast and now we are back at the hustle and bustle. This past Saturday was all about World Cardmaking Day. I hope you were able to create some cards. Today, I have a easel box card to share with you today. My inspiration for this card box came from Alexandra which you can check out her blog here. 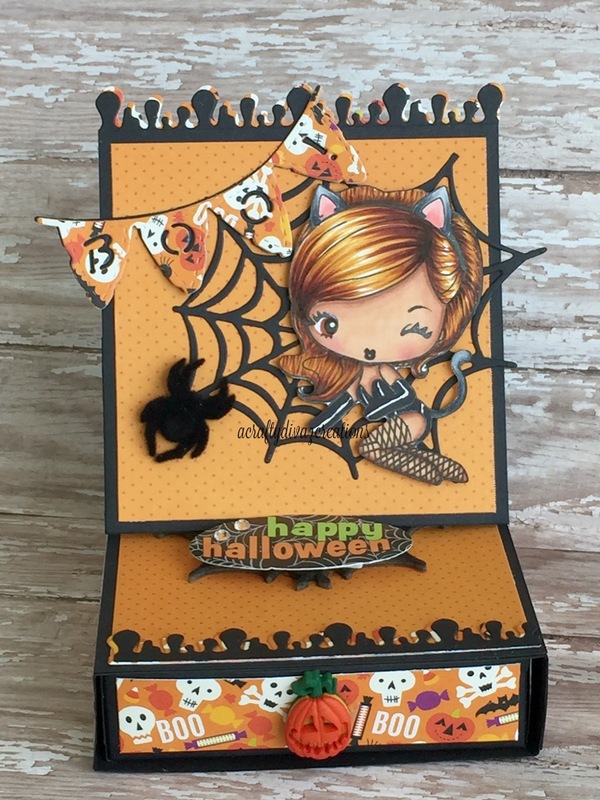 Halloween is right around the corner so I decided to make a Halloween easel box card using The Greeting Farm Spooky Kit. There are several stamps and sentiments that come in this kit. I decided to use the cat girl image from this stamp set. This cutie is one of my favorite images from the kit. 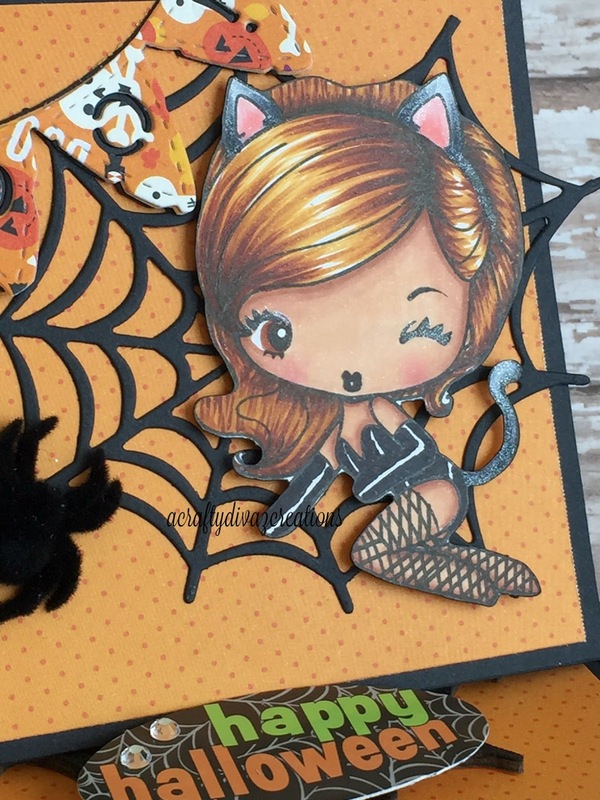 I used my copics to color the image and paired her with halloween papers I had in my stash. This is a cute card to give to a friend with some goodies in the drawer. Well that's it for now, thanks for stopping by. Have a great Monday! What a fantastic project!!! I totally love this!! Thanks for joining us at TGF!! !